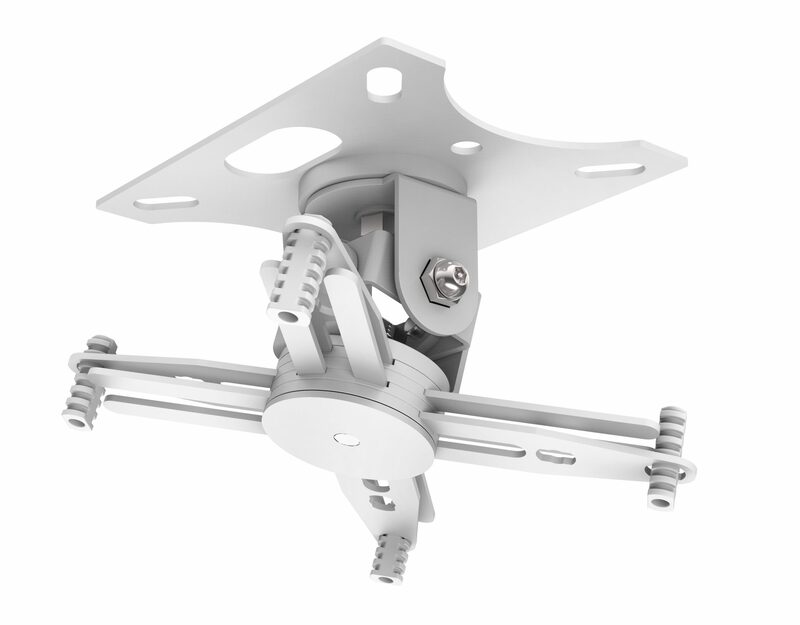 The Techmount TM-CC is a universal projector ceiling bracket designed to secure 99% of data projectors safety and sturdily to ceilings. 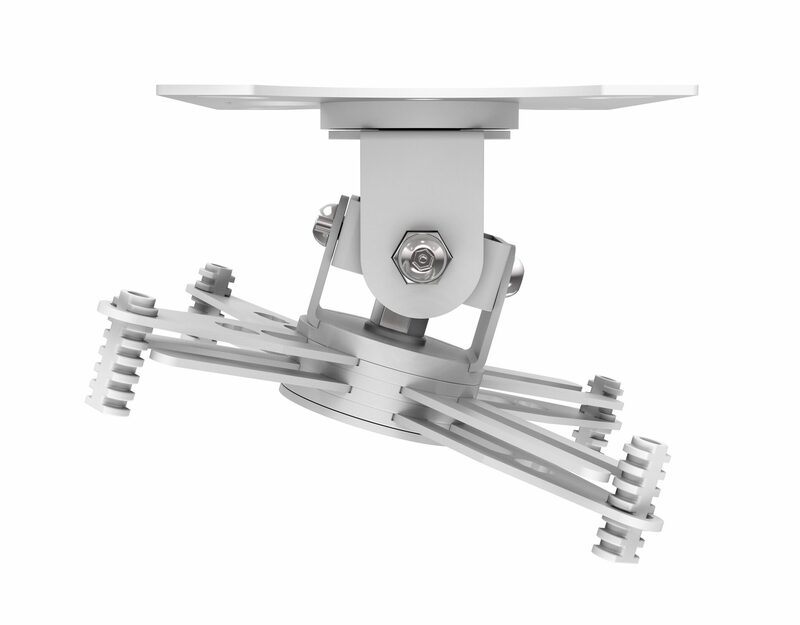 It is designed for applications where no ‘drop’ is required so no pole is included. It holds the projector 110mm away from the ceiling. The top and bottom parts can rotate 360 degrees, and the spider arms have a maximum span of 340mm (13.4″). As with all projector Techmounts a safety cable is included to attach to the projector. 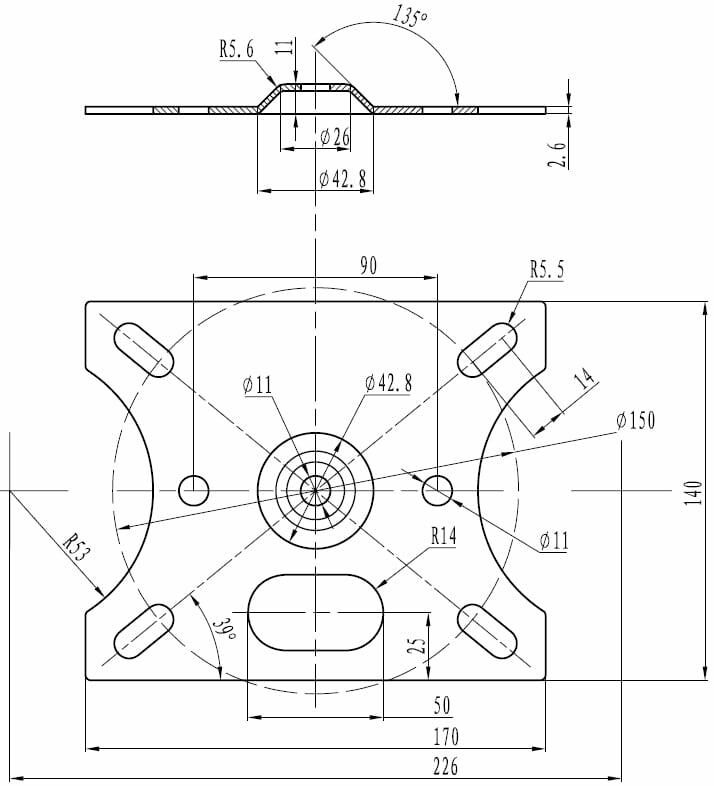 The TM-CC has a recommended maximum safe working load (SWL) of 10kg which is well within the limits of the product. 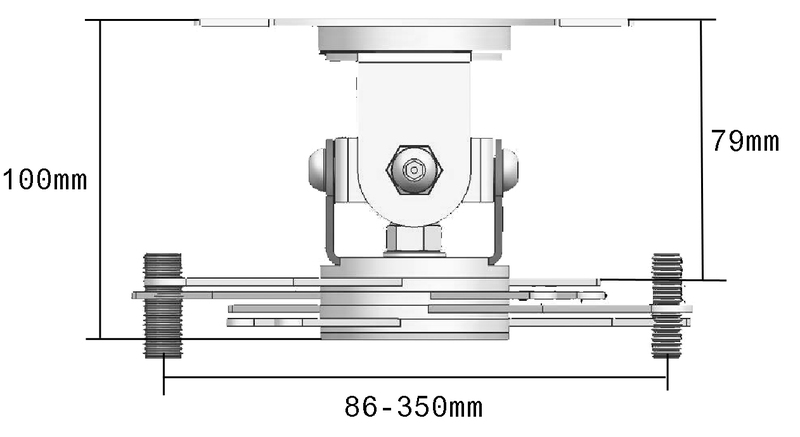 Fitting the bracket to the projector is simple; most projectors have threaded inserts in the bottom for attachment. Not all use the same diameter screws we provide a selection to suit almost all projectors. 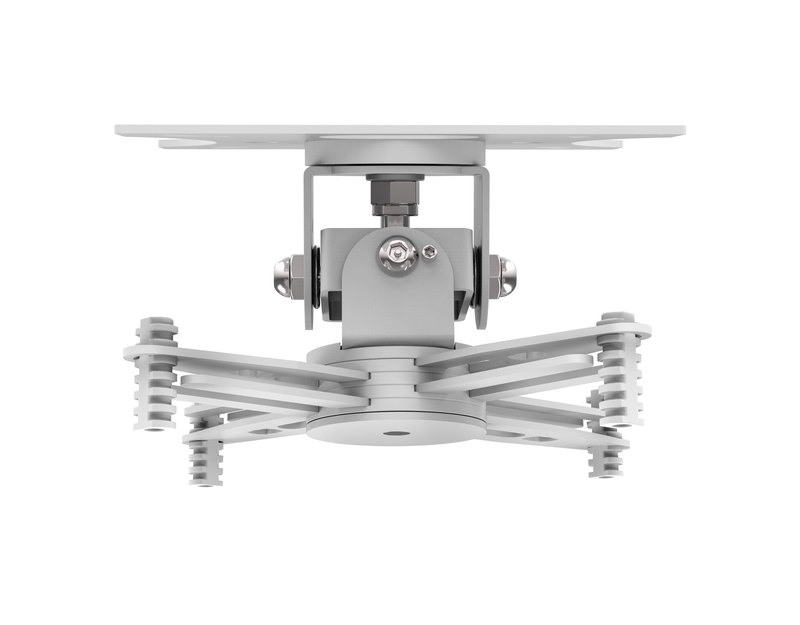 Simply adjust the arms on our bracket over the attachment holes, and insert a screw into the projector. A spanner and pin-hex key are included. Quick-release mechanisms make life easier for thieves so the TM-CC comes with secure pin-hex bolts.